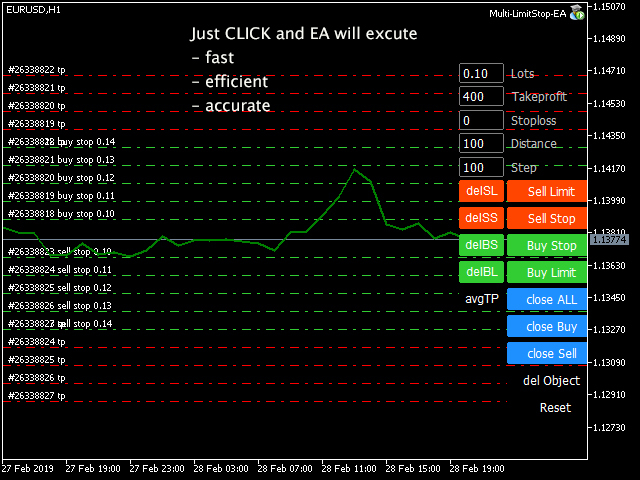 This EA is designed for automatic placing of pending orders (sell limit, buy limit, sell stop, buy stop) including Stop Loss & Take Profit levels (editable) with only one button click. This EA can make order multi pending level / pending orders grid. So, with this EA placing pending orders will be faster, accurate and efficient. Automation Pending orders grid style trading. Automation of close Orders / Pending Orders. Manage orders like Delete Pending, Close All, Close buy only, Close sell only. Avoiding unwanted triggering of Placing Pending, Stop Loss, Take Profit in case the broker's stop level is different than usual. Make work easier and faster. 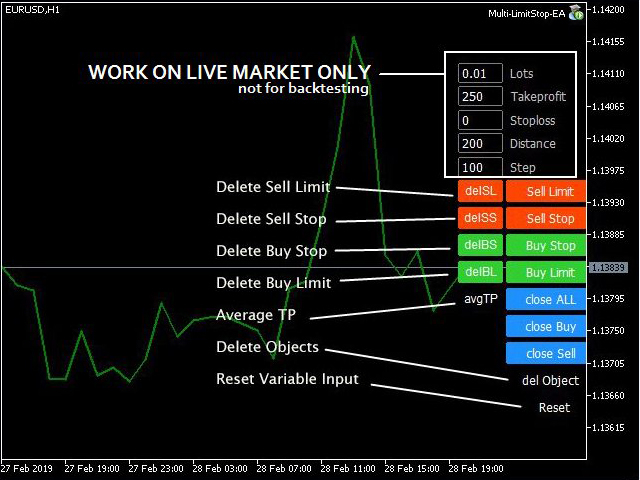 Automation for setup Stop Loss and Take Profit. Lots - default is 0.01. 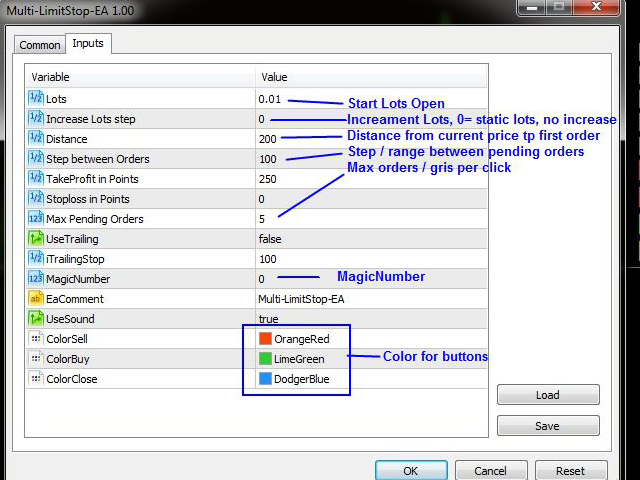 Increase Lots step - to increase lot when placing more than one order, default is 0.01. If 0, lot does not increase. Distance - distance from the current price to place the first order. UseTrailing - if True, Trailing will be activated. If False, Trailing is disabled. TrailingStop - distance from the current price in points to set Trailing Stop (Stop Loss). MagicNumber - used to identify the orders made by this EA, default is 0. ColorSell - color for SELL button.